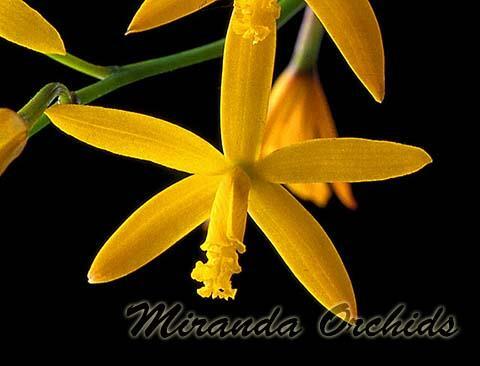 Laelia macrobulbosa is one of the most robust species of rupicolous laelias. Plants and flowers are similar to those of Laelia gloedeniana, but inflorescences are a bit shorter and flowers tend to have a bit wider segments. Same bright yellow color on the 2" flowers. Laelia gloedeniana pictured here, as it can be used as a faithful reference.